The Atherton Tablelands boasts of attractions different from the Great Barrier Reef and the Wet Tropics. It's land and lakes are the superstars. Just West to South West of Cairns, there exists a different outback that instead of being barren and dry, it is a green paradise. This is the Atherton Tablelands, a fertile plateau that is found off the Great Dividing Range in Queensland, Australia. The elevation of the area is quite good enough for most of fresh farming, which produces excellent milk in the area. The cool temperature also stimulates enough of the milk from the cows that this has made the area an excellent pasture for the cows and for dairy farming. Lake Tinaroo recently developed through the damming of Barron River, a major rive that runs across the Atherton Tablelands. The waters are used for irrigation by most farmers near the area. There are several towns found on the tablelands, namely Atherton, Herberton, Kairi, Kuranda, Mareeba, Malanda, Millaa Millaa, Tinaroo, Tolga, Yungaburra and Ravenshoe, most of which are agriculturally-themed towns, although most of them are in as much, modern as their city counterpart in Cairns. The crops grown in the fertile tableland include bananas, sugar canes, citrus fruits, mangoes, avocadoes, strawberries, macadamias, corn and other prized produce. Tobacco is also part of the industry, as is using the grasslands for dairy and poultry use. 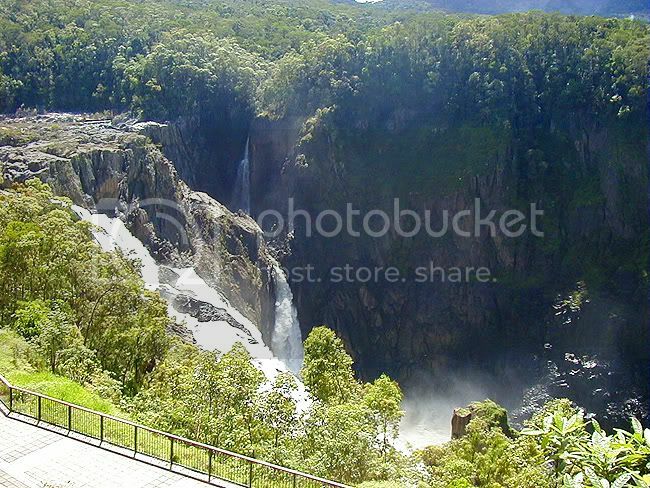 Tourism is starting pick up in the Atherton Tablelands with the construction of the Tinaroo Dam, which is providing most of the major tourist attractions. The town of Yungaburra is also famous for its restaurants and B&B's in the area. One of its notable lakes is the freshwater Lake Barrine, found in the Tableland itself, close to Lake Eacham. Lake Barrine is a volcanic lake, created seventeen centuries ago as a result of a volcano being blown off its center due to steam pressure from groundwater leaking into the hot core. The lake is authentic rain-water, there are no other lakes or rivers supplying it, and no veins of underground water that is near it. The Lake Eacham is another volcanic lake unlike the former. Formed much later than Lake Barrine, Lake Eacham also came from the same origin. Underground water (a whole table) was heated by rising magma. Steam collected and overtime, with the overwhelming pressure, blew up the surface. The resulting crater marred by hot water, chunks of cooled lava made a scar on the countryside. Centuries passed before the area healed. Water returned, and the trees grew back, burying the destruction with a green carpet of flora. Not much is known of what was left with the water table, but a variety of underground springs keep the water level in check. The area is now recognized as a national park, and is preserved for scenic posterity. Planbooktravel.com.au is one of Australia’s leading location-based information and mapping sites. The site brings together interactive maps and town information, allowing users to research, contribute, review and rate content and build personalised folders for their own use or to share with others. I've never heard of the Atherton Tablelands before so this article was interesting to me as I've often thought of visiting Cairns and doing the outback thing! This is very different from what I imagined. Had a look on Google and here is quite a good site showing the various activities on offer in this area. I took a look at the climate here and it sounds all good as far as temperature. Average longterm low for a year is 15.3 degrees with 15.9 in any year. High was 25.6 degrees with highest 36.7 in any one year. However, it does rain a lot there. Auckland has an average yearly rainfall of 413 mm over 46 days ( according to http://www.fourcorners.co.nz/new-zealand/regionalweather/) but the Atherton Tableland average 1,380 mm over 178.8 days of rain. That's an awful lot of water! 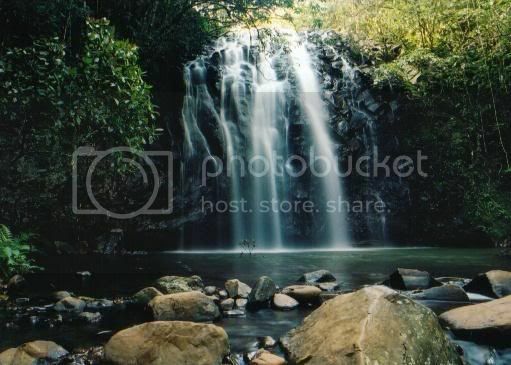 The Atherton Tableland looks refreshiing - a garden of Eden.. where's Adam & Eve? Great web site you have here.. It’s difficult to find excellent writing like yours nowadays. I truly appreciate people like you! Take care..